LFA Our Story — LFA | Honest lifestyle, homeware & fashion PR. Every business has a story, this is ours. After countless internships within the industry, she finds her feet with knitwear brand Lowie. She grows their business considerably through PR and Social Media by learning what works first hand. The press love Lowie and start to ask what other clients Rosie represents so they can feature them too. She builds a website and launched The London Fashion Agency (eventually LFA) and the business and client base grows. Milo joins team LFA. 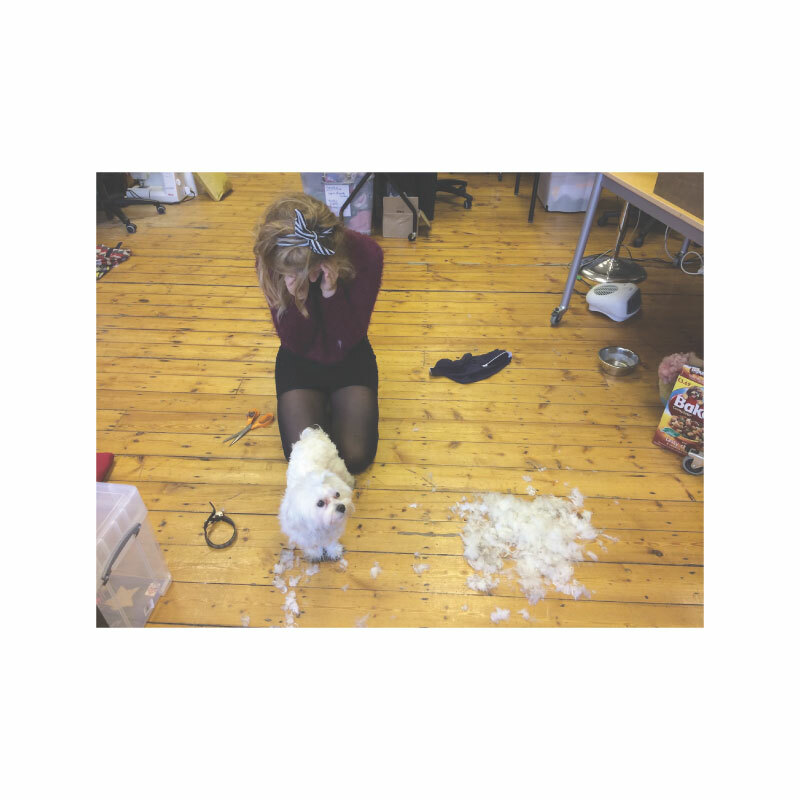 Rosie attempts to give him a stylish hair cut, but it all goes terribly wrong. The year ends with multiple brands being launched to the British press. LFA gained countless pieces of coverage without the hefty PR price tag. Rosie realises the key to great coverage is a brilliant product and beautiful branding. Outgrowing our space, we move into a bigger office in Brixton. Our clients are with us for the long run. Matthew Calvin and Toolally sign with LFA and are still with us to this day. We are making waves in the industry. People describe us as bold, disruptive and refreshing. Rosie is invited for entrepreneurial breakfast at the House of Lords as part of the top 30 entrepreneurs in the country. Rosie wins Great British Fashion Entrepreneur of the Year: Entrepreneurial Spark Special Merit Award. Cecilie joins team LFA bringing charm, a great eye for what the press like & a dry sense of humour. People love our PR. They want more & we recognise the industry is changing. We expand into social media services and influencer outreach. Shannon joins team LFA. She brings bags of influencer knowledge, an eye for grammar and a love of crisps. We are nominated for 5 industry awards and win GBEA Creative Industries Enrepreneur of the Year 2016. Outgrowing our old office, we find a new office space (just upstairs). In true LFA style, we decorate and build everything ourselves. We start to get requests from homeware & lifestyle brands for PR. We have the contacts so we take them on. We celebrate as the coverage rolls in. We grow as our clients grow. Toolally is selling like hotcakes in John Lewis and their press & influencer coverage is just as good. Nick joins the team part-time as finance guy. He also assists with office DIY. We're shortlisted as one of the top 100 start-ups in the country. We make friends with the right people. Design agencies, wholesale consultants, stylists... so that our clients get the best support in every way possible. New year, new us. We change our name from The London Fashion Agency to LFA (Lifestyle & Fashion Agency) to reflect our new line of work for homeware and lifestyle brands.